Even a simple kneeboard can provide great value. After the somewhat pricey headsets that we looked at yesterday I figured some cheaper options might be a little better for today. As a pilot, there are lots of things you have to remember, and a fair amount of it is on the spot. 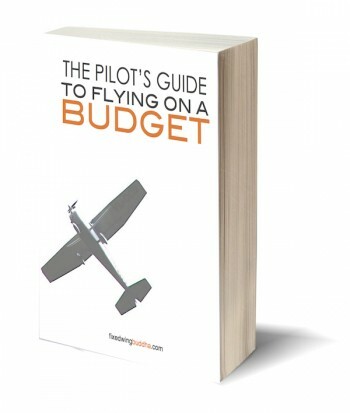 However, a good pilot will write much of it down rather than trying to just remember it all. Things like clearances, frequencies for ground, tower, and approach control, routing, and the list goes on and on. As you start to fly regularly in the same area you will likely memorize much of this information, and may even create a little cheat sheet for things like frequencies and such. But very few of us get into flying just to hang out in the same area. We want to go out and explore new areas and new airports. In those situations there will be plenty of need to write things down. That is where a good kneeboard comes in handy. 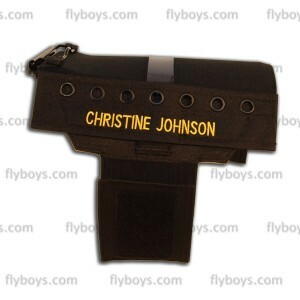 This kneeboard is incredibly popular amongst Air Force pilots. Just like everything else in aviation there are lots of different options out there depending on what you are looking for. The simplest version I have used is a girl’s hair band that I just wrapped around my leg. While it works for simply securing something to your leg it is less useful when it comes to actually writing things down. 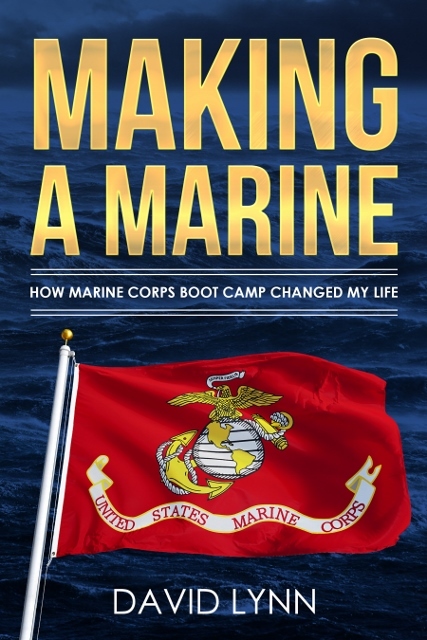 With that in mind you can always just get a simple kneeboard that is nothing more than a small metal clipboard with a strap to attach it to your leg. Most kneeboards have some basic information on them like the phonetic alphabet, basic light gun signals, and the information needed for a basic flight plan. In the case of kneeboards designed to support IFR flight it includes information like mandatory reporting points, IFR equipment codes, and airspace requirements. 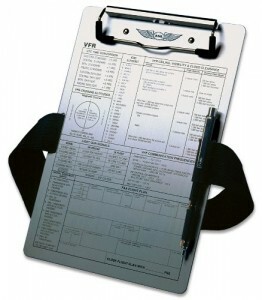 For those looking for something a little more than just a clipboard, this kneeboard from Flyboys is probably the most commonly used kneeboard by Air Force pilots, at least the ones I have seen. It has a clear sheet to cover your approach plates, rings for attaching stuff like checklists, as well as the obviously important pen/pencil holder. The info section on its page says you may want one for each leg, and while I have seen it, most civilian flying really doesn’t warrant the need for two. Tri-folds are great for storing charts and extra paperwork. 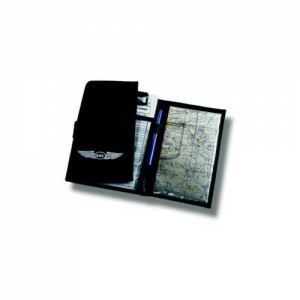 There are also tri-fold options out there for storing things like maps and approach plates. This can become incredibly useful for longer flights that may include multiple charts, or extra approach plates. I used one of these for a while and found it useful, but I now have a whole desk where I fly so space is not quite the issue it once was. The last group that is becoming increasingly popular is kneeboards that hold an iPad or similar tablet. With the increasing functionality of these devices, they are becoming the cheaper/simpler option to expensive avionics upgrades in aircraft. They are even capable of supporting ADS-B devices which will be mandatory in the not too distant future. 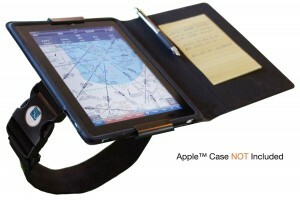 If you already have an iPad it would be worth it to see if you like flying with it and purchasing a kneeboard to works well with it. Having an iPad conveniently placed can be vary useful. Whatever kneeboard you decide to purchase, the one major recommendation I would make is to make sure it is a good size for you. I had a kneeboard once that was so large I couldn’t properly manipulate the controls. I had used it in a different aircraft with no problem, but it just didn’t fit in this cockpit. So just make sure you understand how it will interact in your particular cockpit. As you can see, you will start to accumulate a decent amount of stuff that you fly with, and it can get a little annoying having to carry it all out to the plane, which is where of course a good quality flight bag comes in. You could always just carry any backpack or duffel with you on a flight, but you may also find that bags designed specifically for the purpose are far more useful. A bag like this has all the pockets you could ever want. 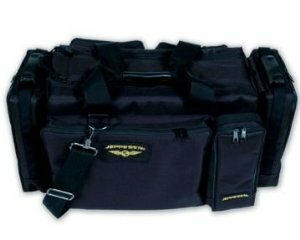 You can get a simple flight bag for around $30 or less. They will have various pockets for all of the fun little crap you will start to acquire, but they will also have room for your headset, kneeboard, and charts. If you want to go with something that has even more “bells and whistles” you can always go for a bag that has detachable pockets for things like headsets, GPS receivers, and transceivers. They can also have adjustable dividers in the main pocket as well as mesh pockets for small items like keys. If you live somewhere with a lot of rain you may want to make sure the bag is at least water-resistant. Now for those of you who are looking for a high quality bag that will make a statement every time you fly I have a recommendation for you. This bag is one of the nicest pieces of equipment that I have ever seen. 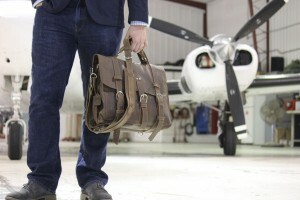 The Classic Flight Bag is an all leather bag that hearkens back to the early days of flying. The rustic leather look reminds me of an old war movie where the pilot climbs out of the plane with his goggles and leather jacket with the fur lining carrying a bag just like this. The Classic Flight Bag will make a statement every time you fly. It received raved reviews from the Airplanista himself Dan Pimentel. I could never do it the justice that Dan does, so I highly recommend you check out his review of the bag. That alone should say something as Dan rarely does a review. While I am not as eloquent as Dan I will say that a bag like this truly does make a statement while being incredibly functional at the same time. Especially with all of the technology available today there is no reason to need a large suitcase for all of your flight gear. A simple yet elegant bag like this will not only serve you well, it will do so for a very very long time. It is clearly a high-end bag at about $500, but if you sign up for their mailing list they will give you $50 off, and the shipping is free. Each of these bags is handmade so unfortunately it is too late to get it on time for Christmas, but just wrap up a picture of this bag and your avgeek will be more excited about what will be coming after Christmas than anything else they get that day. Of all of the things I have researched for this series of posts the Classic Flight Bag is hands down my favorite. All of these items will aid in your organization while flying, and I can’t emphasize enough how important that really is. It is amazing how much simpler and more enjoyable a flight is when you have everything right where you need it when you need it. 5 responses to "Twelve Days of Avgeek Christmas: Day 6 Bags and Kneeboards"